The ongoing transformation of the world’s energy systems requires an international monitoring to evaluate the transformation processes and to identify transferable leading practice policies. For this purpose, an independent scientific expert commission should be established for the G20. By actively involving political decision-makers in the discussion of the final results a broad basis of support can be ensured. Creating a global energy architecture of the future that is both just and sustainable is a challenge best met by resorting to scientific approaches. This paper proposes a vision of how the existing energy policy expertise can be implemented and institutionalised in a framework that takes both technological progress and aspects of economic development into account and is adjusted to the future needs of the international community in the global transition of the energy systems. Around the world, there are various different strategies of how the transformation of the energy systems might be approached. They would all benefit from a transparent international monitoring and evaluation process, taking account of the differences between countries, national and regional framework conditions and the heterogeneity in methods and metrics. To be sure, this would require a joint effort and commitment in order to establish a baseline level of information related to the transformation of energy systems. It would, however, allow for the identification of best-practice and leading examples in an international context. We recommend that the G20 mandate a group of independent scientists and policy experts to prepare the evidence base for such a process. This will enable the identification of robust policy options, i.e. options apt to achieve multiple policy objectives, including access to secure, affordable and sustainable energy. We further recommend a complementary process, aiming at a cooperation between the commission and political decision-makers. This would give the results a wider notoriety and support basis. Once the scientific analyses are concluded, the process should consequently provide for a political discussion of the results, including the joint approval of an executive summary. Such a new forum for exchange would allow for iterative improvements. While respecting the core competencies of both spheres, this collaborative effort would constitute the foundation of a high-level partnership ensuring the relevance of the commission’s work for practical policies. Build a comprehensive, validated international database (taking into account technical, economic, environmental and social data) which accounts for differences in data availability and accessibility and which can be used both to monitor and evaluate G20 countries’ energy transformation progress as well as to improve methodologies for future policy assessment. Identify harmonized methodologies and develop indicators to provide policy makers with a neutral benchmark that is tailored to national circumstances in a way that checks national progress against national ambition based on the specific voluntary goals of the individual country. Undertake a stock-take of relevant policy in (but not limited to) G20 countries, analyse the status of the implementation of policy measures and business models and their impact using ex-ante and ex-post impact evaluation methods. Assess the individual national success factors of impactful policies in order to determine their transferability to other countries and create a toolkit for policy makers consisting of leading-practice policy options. Energy transformation processes towards a secure, affordable and sustainable energy supply pose substantial challenges to data and its harmonisation that need to be overcome. In order to assess, for instance, sectoral transitions, technological changes or potentially heterogeneous developments of small and large companies in different sectors, disaggregated energy data is required. A standardised methodical basis for the calculation of energy prices and costs is a prerequisite for understanding different companies’ competitive situation. Detailed disaggregated and internationally harmonised data on energy prices and consumption patterns of households and individuals is necessary for a thorough assessment of the social dimension of energy transitions and of according distribution effects, including the risks of energy poverty. Similar challenges regarding a solid data base arise in numerous other fields of the energy transition. The Expert Advisory Commission would structure the data process and assure that the data is made public in order to spur new research and analyses. The global importance of a reliable database has been recognised at the highest level. It is underlined by the creation of two important groups: The Independent Expert Advisory Group on the Data Revolution for Sustainable Development, appointed by former UN Secretary-General Ban Ki-moon on 29 August 2014, and the High-level Group for Partnership, Coordination and Capacity-Building for statistics for the 2030 Agenda for Sustainable Development, convened on 6 March 2015 by the United Nations Statistical Commission.8 In the specific context of energy system transformations, the Expert Advisory Commission is to identify common challenges and suggest options to improve the comparability and interpretability of data. Internationally comparable indicators (social, environmental, technical, economic, and concerning the security of the energy supply) could be identified and defined, each based upon and calculated according to the same methodology across countries. The harmonisation would allow for the transfer of identified policy impacts in order to create practical knowledge for policy-makers. With regard to the complexity of energy systems, the commission could seek to identify or develop a detailed set of indicators enabling a balanced assessment of the transformation processes. In particular, future-orientated indicators can help to identify risks and thus improve the resilience of systems in transition. Harmonised indicators should be simple and easy to interpret and monitor. They should address all aspects of the energy sector, including renewable energy, energy efficiency, energy infrastructure, supply security, energy research and innovation, affordability of energy and the competitiveness of companies. The set of indicators could thus provide a fact-based overview of the status of the implementation of the energy transition. The development of comparable indicators requires systematic preparation and in-depth discussions which will also have important consequences for the development of a comprehensive, validated international database. A careful calibration of indicators – harmonised, while nevertheless taking different national circumstances into account – offers several advantages: It would substantially improve the reliability of the interpretations of national developments, provide data for the scientific evaluation of policy impacts and extend the evidence base of policy-makers without restricting their political choices. Based upon a harmonised methodology, the commission could provide policy-makers with a neutral benchmark tailored to individual national circumstances. By comparing national progress with the respective national aspirations (based on the goals the countries have chosen to set themselves), the search for leading practice policies could be facilitated. Furthermore, each country could be provided with an independent assessment of its progress which would highlight areas for improvement and identify its most successful policies. Following the example of the UNFCCC Measurement, Reporting and Verification (MRV) process, the commission would conduct its consultation and analysis in a manner that is non-intrusive, non-punitive and respectful of national sovereignty.9 There is a broad consensus – reflecting the spirit of the Paris Climate Agreement – that the plurality of efforts calls for a change in mindset. In addition to the identification, harmonisation and monitoring of common indicators, the commission would provide added value to the ongoing discussions on energy transitions by analysing the implementation of policies and their impact. It would compile a foundation of reliable scientific evidence to be fed into the G20 policy preparations, business models and implementation processes via the T20 channel. The scientific Expert Advisory Commission would provide a platform for in-depth debates on evaluation methods and summarise and review scientific energy policy analyses. There is a clear need for a global stock-take of policy approaches to identify effective practices as well as areas worthy of improvement. The diversity of ongoing transformation processes offers a wide scope and countless opportunities for the exchange of experiences, information and good practices. At the same time, we fully acknowledge that different framework conditions impact energy transition processes differently and assure that the proposed monitoring and evaluation process would not interfere with political processes outside the scope of the initiative. Sharing and understanding the different modelling approaches and key assumptions regarding ex-ante evaluations of impacts with quantitative simulation models of energy systems can contribute to a better understanding of the details crucial for designing a consistent benchmark. The ex-post impact evaluation of policies would be conducted on a case-by-case basis. A careful assessment of both the structural details of the policy as well as the specific conditions under which it is applied (e.g. technical, economic, infrastructural, legal, institutional, social, political), would ensure that the evidence is discussed in the appropriate context. In particular, the expert commission would identify leading practice policy options with measurable impacts and provide political decision-makers with easily accessible information. In addition, the commission would create substantial added value by proposing new standards for the description, evaluation and identification of potential causal impacts of policies as well as for quantitative simulation models used in impact assessments. The commission would endeavour to develop a harmonised framework for impact evaluation adjustable to different contexts, thus increasing the accessibility and replicability of empirical analysis. The goal of the commission would be to provide policy-makers in different countries with the best tools and information, fully acknowledging that policies as well as performance benchmarks have to be tailored to national circumstances. The identification and exchange of best practices would be based on the evaluation of a variety of policies in different countries, a comparison of the identified impacts, and a thorough analysis of the transferability of a policy. Particular care would be taken regarding the external validity of results obtained under very special circumstances.12 No one-size-fits-all solutions would be offered; rather, the commission would provide guidelines on how to adjust policies to different circumstances, pointing out those factors that should receive particular attention. In order to provide practical insights for policy-makers, special consideration would be given to the context under which a policy was implemented. As an initiative of the G20, the expert commission would work complementary to the MRV process already established by the Conference of the Parties to the United Nations Framework Convention on Climate Change (COP).13 The evaluation of actions taken at the national, regional and international levels in the field of energy systems transformation would be facilitated. Furthermore, the commission could recommend a toolkit of leading practice policy options and appropriate metrics and indicators to facilitate the consistent monitoring and evaluation of progress at the international level. This would especially include instruments resulting from the synergy of science and technology that have the power to foster innovation processes of global momentum. The exchange of scientific methods for data collection, impact evaluation and modelling would generate added value since it would lead to the adoption of common standards. At the same time, it would present the participating countries with continuous opportunities to broaden their knowledge and understanding. Finally, the discussion on energy and climate justice would benefit from the thorough analysis of national circumstances as well as from any shared information, mutual communication and collaboration structures. The commission, backed by a robust mandate to work independently, would add value to the current landscape of institutions by focusing on the specific needs of national policy-makers in the energy transition processes. This implies that in terms of output, the commission would seek to prepare information in easily accessible formats and take the political dimension of recommendations into account. Moreover, the commission of academic experts may use information from expert agencies like the IEA for a broad range of topics. For certain aspects of energy transitions, more specialised agencies can be resorted to, e.g. IRENA in the case of renewable energies and energy efficiency14, or the IPCC and the MRV process in the case of climate change mitigation15. The commission would hence build upon the expertise and comprehensive knowledge already existing in the scientific and policy expert communities (such as the World Energy Council’s Energy Trilemma Index16). However, the primary aims of the Expert Advisory Commission would be to pool and condense the current evidence base on energy transformations17 and to deliver comprehensive analyses which would benefit from the exchange of different perspectives. The commission would also encourage the business community to engage in a dialogue process in order to identify scalable business models and provide insights into successful public-private partnerships (PPP). Most importantly, the commission would investigate systemic issues that arise from the dynamic nature of disruptive technological change and from the interconnection between different subsystems (environmental, social, technical, and economic). Finally, causal links could be identified between specific policies along with their systemic impacts on a large scale and quantitative models for impact evaluation could be assessed. Both instances would constitute a valuable addition to the existing mechanisms and a novelty at the international level. Building upon the experiences made in several different countries (e.g. Committee of Experts for Energy Transition in France, Expert Commission on the Monitoring Process “Energy of the future” in Germany19, Committee on Climate Change in the United Kingdom) and following the example of the review process for the 2030 Agenda for Sustainable Development, the commission would be provided with a robust mandate to work independently. The introduction of commonly agreed indicators or, indeed, the interpretation of these indicators, is more than a mere technicality. Neutrality is essential for a successful monitoring and evaluation process. The Expert Advisory Commission would be composed of distinguished scientists from various disciplines and countries to ensure interdisciplinarity, analytical credibility and unbiasedness. No restrictions should be placed upon the commission’s freedom to research and publish. To ensure independence, transparency would have to be enshrined as its core value. The commission would also be obliged to give regular proof that it is not following the line of any particular country, whatever the commission’s funding structure might be. The commission would build upon the extended support of the countries that choose to participate in the aforementioned processes. The supporting countries would have to welcome independent council as worthwhile, commit to provide the commission with the necessary information and mandate it to conduct such analyses as the commission considers useful. Specifications regarding the staffing process, the duties of commission members, the size of the commission, the terms of office and basic duties of the commission members can be developed later. In order to avoid double work, the commission should be in permanent contact with other relevant institutions or research entities and take their work into account. In the preamble of the Paris Agreement, the Conference of the Parties “recognizes that climate change represents an urgent and potentially irreversible threat to human societies and the planet and thus requires the widest possible cooperation by all countries, and their participation in an effective and appropriate international response, with a view to accelerating the reduction of global greenhouse gas emissions”. United Nations / Framework Convention on Climate Change (2015) Adoption of the Paris Agreement, 21st Conference of the Parties, Paris: United Nations. UN Document Code: FCCC/CP/2015/10/Add.1. Accessed 03/08/2017. Final draft 4am 29th June 2016, p. 7. Accessed 03/08/2017. Previous summits span a wide range of topics and discussions, with implementation rates changing by subject and country. 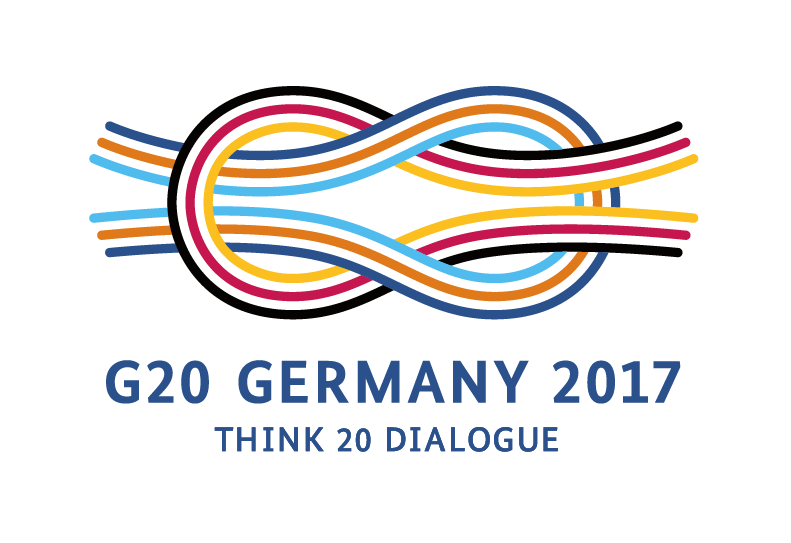 Detailed assessments of previous G20 summits are provided by the University of Toronto’s G20 Research Group. According to the International Energy Agency (IEA), G20 members account for 85% of the global economy, 75% of world trade and two-thirds of the global population. Furthermore, the G20 represents 75% of global energy demand and 80% of energy-related carbon emissions. IEA G20 website, accessed 03/08/2017. The capacity of G20 decisions to alter global realities became most visible after the 2008 financial crisis, when the 2008 G20 Washington Summit on Financial Markets and the World Economy marked a cornerstone for global crisis management. Preliminary guidelines for Assessing Impacts of Climate Change have been provided by the IPCC as early as 1992. UN Data Revolution Group website, accessed 03/08/2017. "About the Independent Expert Advisory Group"
UNFCCC (2014). Handbook on Measurement, Reporting and Verification for developing country Parties, p- 41. Further details on the MRV process are provided on the UNFCCC's dedicated websites. One example for such a format has been suggested for the case of energy scenarios. Following general guidelines could significantly improve the quality and create added value for policy-makers. acatech/Leopoldina/Akademienunion (Eds. ): Consulting with energy scenarios (Series on Science-Based Policy Advice), 2016. ISBN: 978-3-8047-33550-7. Accessed 03/08/2017. Numerous possibilities exist to create control groups for evaluation, and even small alterations can help a policy to succeed while simultaneously explaining the reasons for it. This interaction between social scientists and policy-makers on a very detailed level has recently gained increased attention. Duflo, Esther, The Economist as Plumber (January 23, 2017). MIT Department of Economics Working Paper No. 17-03. Accessed 03/08/2017. The UNFCCC provides further details on the MRV process on its website. Additional international intiatives, such as the Partnership on Transparency in the Paris Agreement, also have to be taken into account. Partnership on Transparency in the Paris Agreement, accessed 03/08/2017. The Statute of IRENA explicitly focuses the attention of the Agency on Renewable Energy and Energy Efficiency Measures. Statute of the International Renewable Energy Agency (IRENA), Conference on the Establishment of the International Renewable Energy Agency, IRENA/FC/Statute, 26 January 2009, Bonn. Accessed 03/08/2017. Originally established by the United Nations Environment Programme (UNEP) and the World Meteorological Organization (WMO) in 1988, the IPCC is the leading international body for the assessment of climate change. World Energy Council (2016). Energy Trilemma Index. Accessed 03/08/2017. Special consideration would be given to advanced approaches such as the UNFCCC’s Technical Examination Process. For example, the identified policy options could be evaluated systematically. UNFCCC Technical Examination Process Website. Accessed 03/08/2017. UN press release ENV/DEV/1770 as of 3 January 2017. United Nations website, accessed 03/08/2017. German Government's monitoring process "Energy of the Future"
Federal Ministry for Economic Affairs and Energy website, accessed 03/10/2017. Andreas Löschel, Prof. Baroness Brown of Cambridge DBE FREng (Julia King) Carl Friedrich Gethmann, Prof. Christoph Frei, Dr. Christoph M. Schmidt, Prof. Cyril Stephanos, Dr. Dirk Uwe Sauer, Prof. Du Xiangwan, Prof. Eberhard Umbach, Prof. Franck Lecocq, Dr. Frithjof Staiß, Prof. Jyoti Parikh, PhD, FNASc Kanako Tanaka, Dr. Koichi Yamada, Prof. Matt Wenham, Dr. Michel Colombier, Prof. Patrick Criqui, Prof. Philipp Großkurth Robert Schlögl, Prof. The Rt. Hon John Gummer, Lord Deben Tian Zhiyu Yu Cong, Prof.
1. Inform: Build a comprehensive, validated international database which recognises differences between countries, serves as a basis for monitoring and evaluation, and can be utilised for policy advice. 2. Monitor: Identify harmonized methodologies and develop indicators to provide policy-makers with a neutral benchmark tailored to national circumstances. 3. Evaluate: Undertake a stock-take of relevant policy approaches, analyse the status of the implementation of policy measures and evaluate their impact. 4. Exchange: Assess the individual national success factors of impactful policies and create a toolkit for policy-makers consisting of leading practice policy options.